Diabetes, infertility, osteoporosis: They’re all potential co-risk factors for people who have celiac disease. According to a UK study, celiac disease can raise the risk of pregnancy complications. A 1999 Italian study published in the journal Gastroenterology showed that the prevalence of other autoimmune disorders in patients with celiac disease is related to the duration of exposure to gluten. The older patients were when diagnosed with celiac disease, the greater their chances of developing other autoimmune disorders like hypothyroidism, but also—less commonly—hyperthyroidism, Addison’s disease, vitamin B12 deficiency, vitiligo (spotty loss of skin pigment), and alopecia (hair loss), among others. Type 1 diabetes: Celiac disease and type 1 diabetes are both chronic, lifelong autoimmune diseases. The two conditions have a genetic link, sharing some genes and environmental factors that may cause the immune system to attack the villi in the small intestine (in celiac disease) and beta cells in the pancreas (in type 1 diabetes). Researchers believe that celiac disease and diabetes have at least seven genes in common and there may be more. Other autoimmune diseases: Autoimmune disorders result when the body’s leukocytes (white blood cells), which normally fight infection, attack and destroy healthy body tissue. Celiac disease is associated with an increased prevalence of other autoimmune conditions, including multiple sclerosis, Hashimoto’s thyroiditis (which results in hypothyroidism), Graves disease (which leads to hyperthyroidism), Addison’s disease, and autoimmune hepatitis. Infertility: When researchers at the Celiac Disease Center at Columbia University screened 188 women with unexplained infertility, almost 6 percent had celiac disease—a rate nearly six times higher than expected, making celiac disease an important association of unexplained infertility, according to a study published in The Journal of Reproductive Medicine in 2011.Untreated celiac disease can rob a woman’s body of nutrients, but malnourishment isn’t the only mechanism behind infertility. Antibodies to tissue transglutaminase (tTG)—one of the key markers of celiac—can have an effect on the placenta’s development. Osteoporosis: When celiac disease goes untreated, the small intestine is injured and can’t properly absorb nutrients, including calcium. Calcium is so critical for nerve and muscle functions—like heartbeat—that if it’s not absorbed from food, survival mechanisms take over and the body taps the bones for calcium. Over time, this leads to bone loss associated with osteoporosis. Gluten can also increase the systemic level of inflammation in the body. Inflammation causes proteins, called cytokines, and other inflammatory mediators to circulate in the blood and interfere with bone growth. Chromosomal disorders: Individuals with chromosomal abnormalities, such as Down syndrome, Turner syndrome and Williams syndrome, have a predisposition toward autoimmune diseases (including celiac disease), endocrine disorders, and cancers. Celiac disease symptoms without the celiac disease: For years, many people reported having celiac-like symptoms—abdominal pain, fatigue, foggy mind, joint pain, tingling of the extremities, even depression—but they repeatedly tested negative for celiac disease and responded positively to the gluten-free diet. Now specialists recognize that these patients may have non-celiac gluten sensitivity, a condition that is distinct from celiac disease. How Common is Non-Celiac Gluten Sensitivity? Studies have now demonstrated that non-celiac gluten sensitivity is a distinct medical condition that differs from celiac disease. 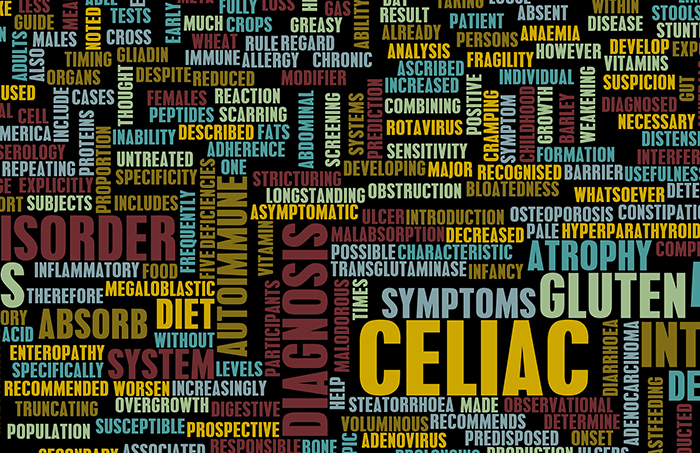 Celiac disease is considered a subset of gluten sensitivity. Anyone with celiac disease, by definition, is gluten sensitive. However, not all gluten-sensitive people are celiacs. Unlike celiac disease, non-celiac gluten sensitivity causes no measurable intestinal damage. Classic symptoms are gastrointestinal, such as diarrhea, bloating, or constipation. Some people report symptoms ranging from clumsiness, brain fog, and depression to ADHD or autistic-like behaviors. 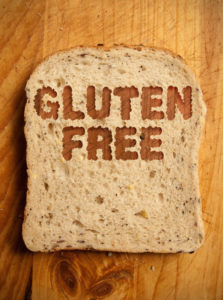 Patients with non-celiac gluten sensitivity might have various reactions to gluten. In a study of 347 gluten-sensitive patients conducted by the University of Maryland, 68 percent experienced abdominal pain, 40 percent had eczema or a rash, and approximately a third reported headache, diarrhea, fatigue, or “foggy mind.” Depression, anemia, numbness in the legs, arms or fingers, and joint pain were also frequently reported. How Is Gluten Sensitivity Diagnosed? Currently, non-celiac gluten sensitivity is a diagnosis of exclusion; it’s diagnosed only after other conditions are ruled out. Non-celiac gluten sensitivity is not an allergic condition, is not an autoimmune reaction to gluten, does not cause any significant damage to the small intestine, and is not associated with HLA genes (as is celiac disease). There are no genes that are currently known to be associated with non-celiac gluten sensitivity and no diagnostic markers—such as anti-gliadin antibodies, stool tests, saliva tests, or biopsy—for conclusively diagnosing the condition. (See our post “Celiac Disease: How Do You Know If You Have It?“) Non-celiac gluten sensitivity is typically determined by a positive response to the gluten-free diet. The defining element of non-celiac gluten sensitivity is feeling better when you don’t eat gluten. Alopecia, Pancreas, abdominal pain, addison s disease, adhd, anemia, b12, b12 deficiency, bloating, bone, bone loss, brain, calcium, cancers, celiac, celiac disease, celiac disease diet, celiac disease symptoms, constipation, depression, diabetes, diarrhea, diet, eczema, food, gastroenterology, gastrointestinal, gluten, gluten free, gluten free diet, gluten in, gluten intolerance, gluten intolerance symptoms, gluten sensitivity, graves disease, hair loss, headache diarrhea, health, health news, hepatitis, hyperthyroidism, hypothyroidism, immune system, infection, infertility, inflammation, joint pain, multiple sclerosis, muscle, non celiac gluten sensitivity, nutrients, osteoporosis, pain, report, skin, the gluten free diet, type 1 diabetes, university health news, vitamin, vitamin b12, vitamin b12 deficiency, what does gluten free mean, white blood cells.